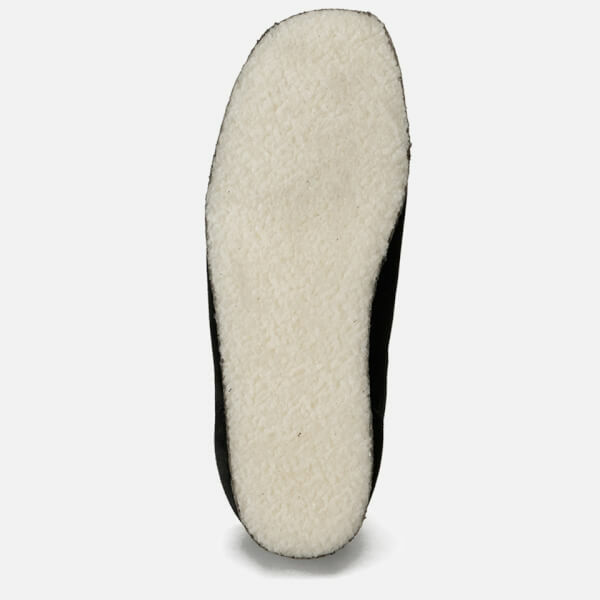 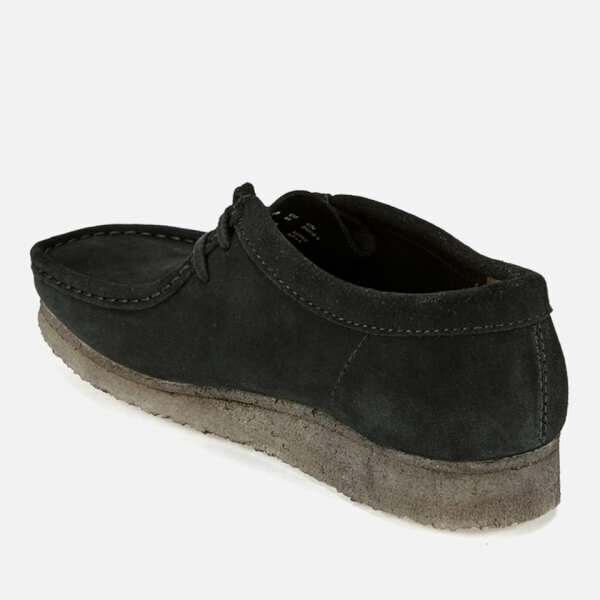 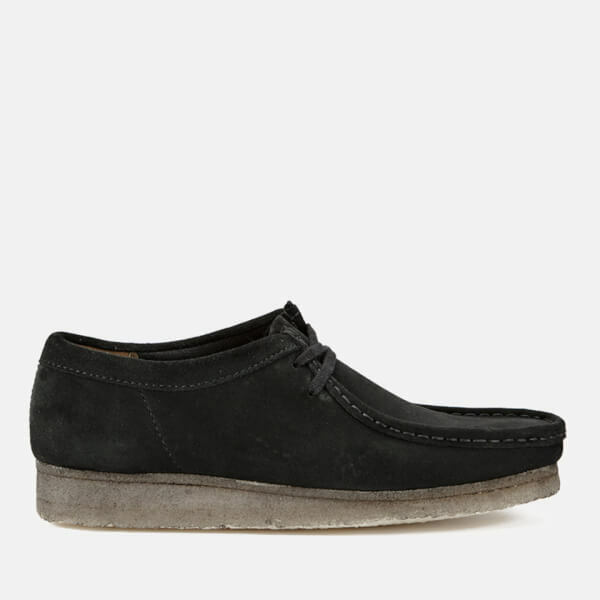 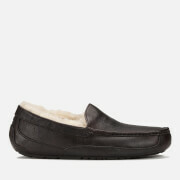 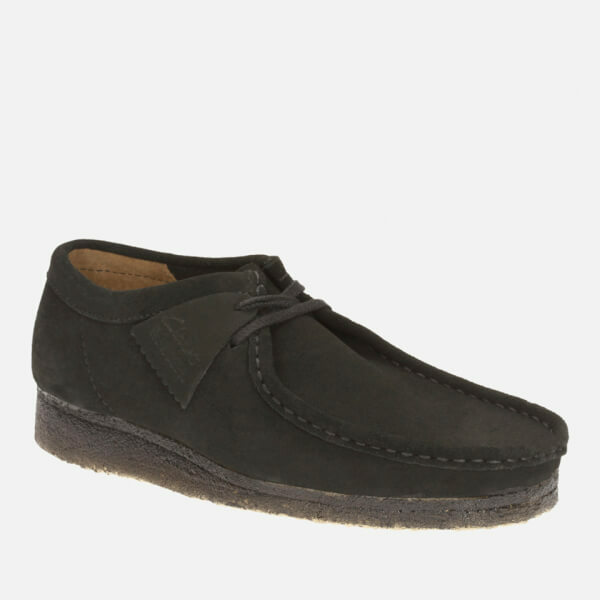 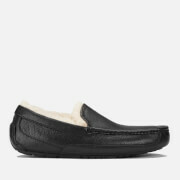 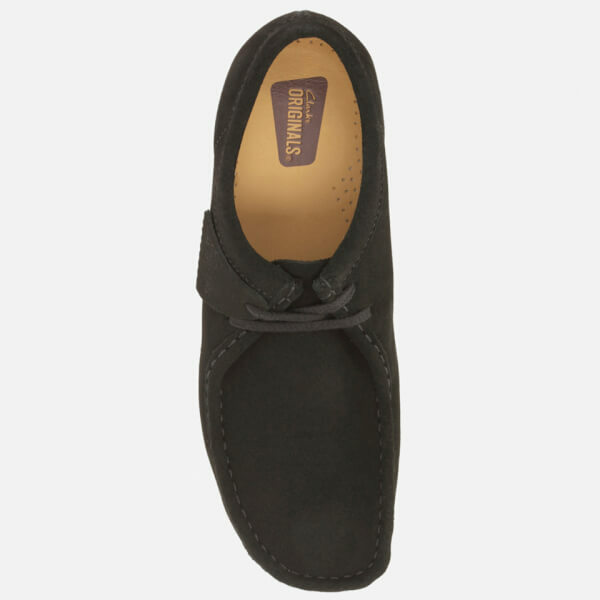 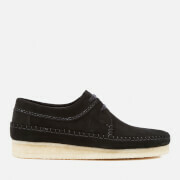 Men’s ‘Wallabee’ black suede boots from British heritage shoemakers Clarks Originals. 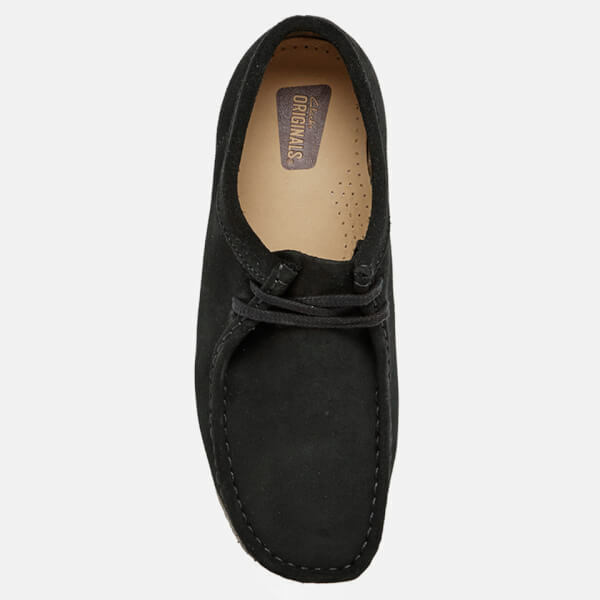 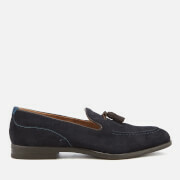 Crafted with supple suede uppers, the shoes feature a flat lace-up fasten, narrow squared toe and tonal stitched detailing to the vamp and topline. 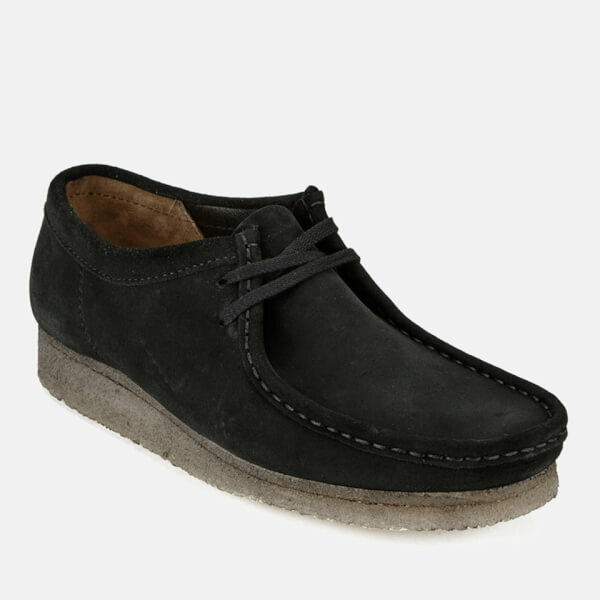 Set on a robust crepe rubber sole, the ‘Wallabee’ boots are complete with a cushioned insole and a suede Clarks Originals brand tab.